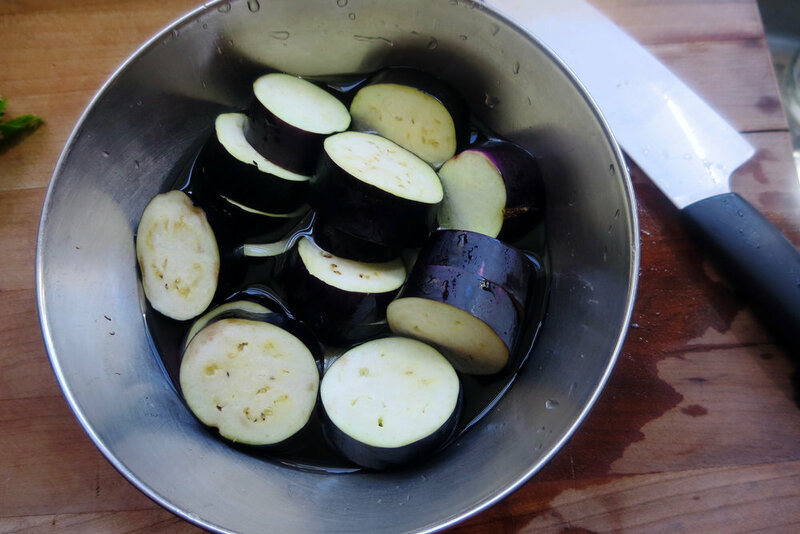 Cut eggplant into 1/2" (1.3 cm) thickness. Soak in salt water for a few minutes. Drain. Dry with paper towel. Score crosswise at the top. Put a thin layer of flower on the same side. Combine all miso mix ingredients. Heat oil in a pan. 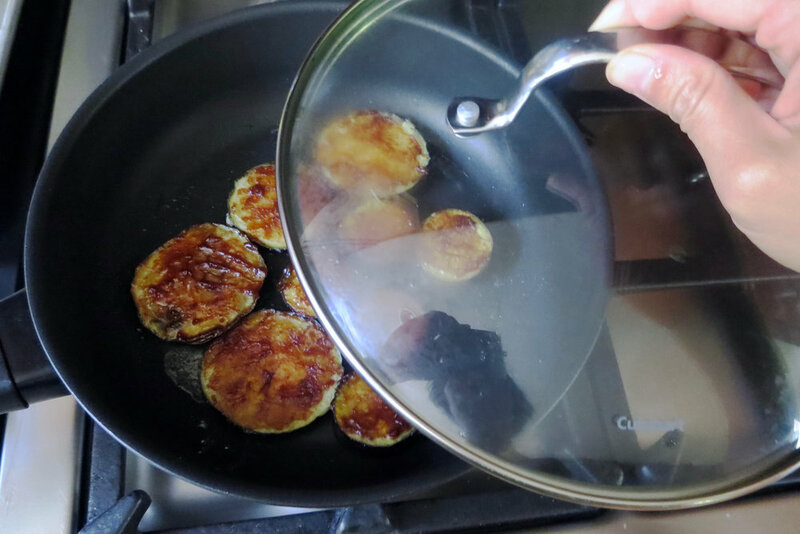 Place eggplant with top side down. Cook for 5 min over low heat until golden. Turn over. Put a layer of miso mix on top. Cover. Cook for 3 min over low heat. Turn over again. Cook for about 1 min uncovered until miso layer gets caramelized. Top with karashi mustard and sesame. Serve hot. 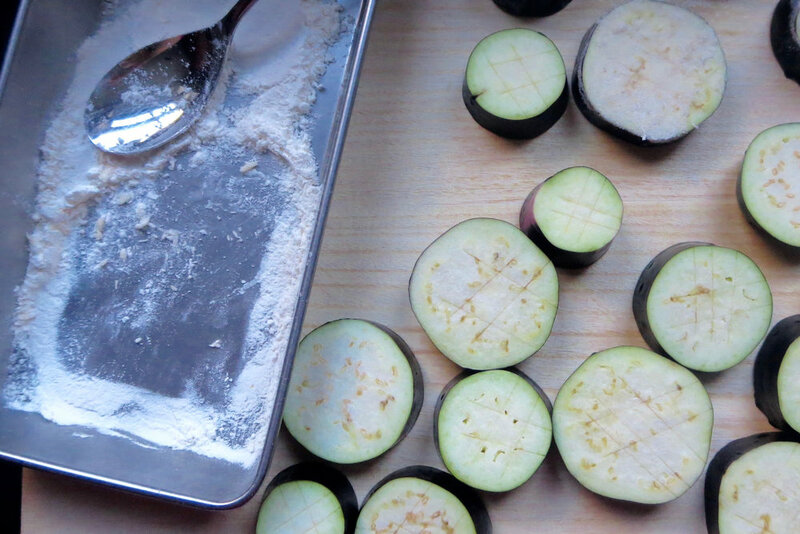 Pay extra attention at step 6 to avoid miso from burning.